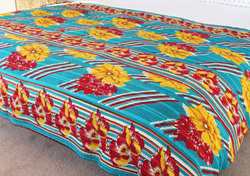 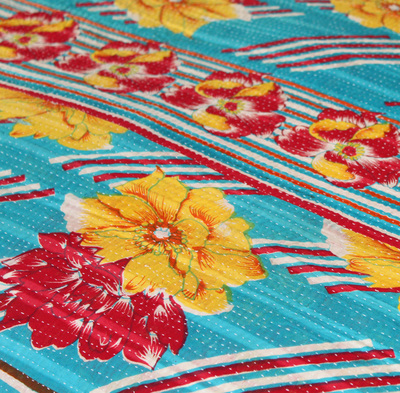 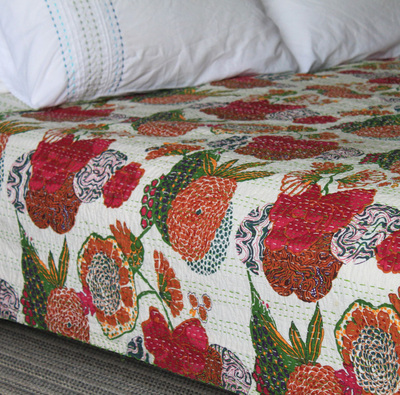 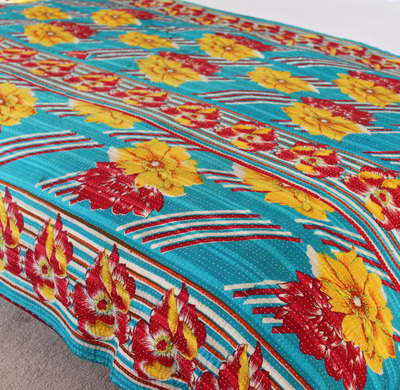 A beautiful vintage Kantha throw with a bold floral print in turquoise, yellow and red. 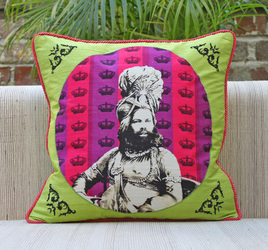 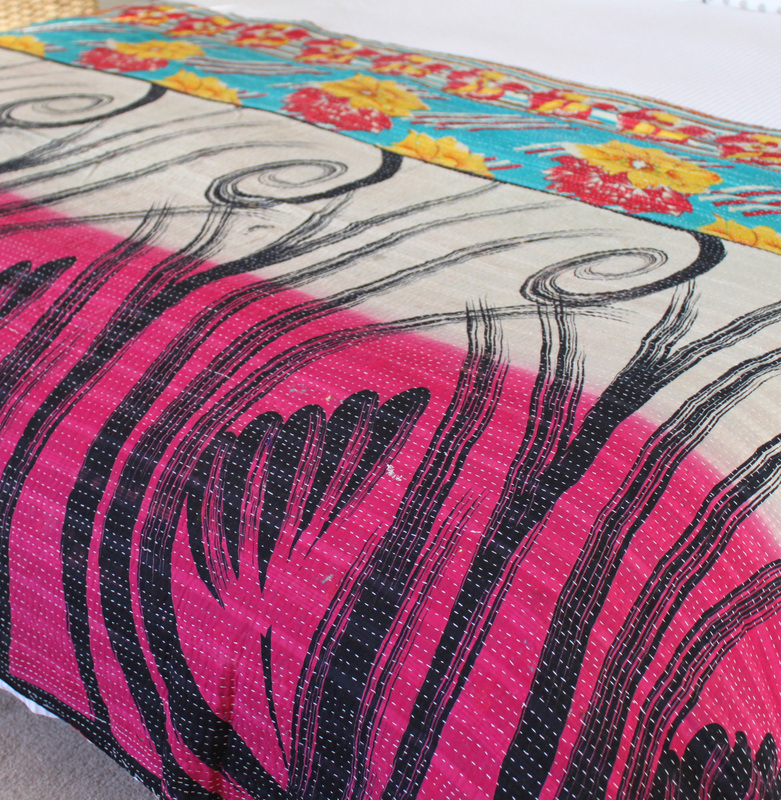 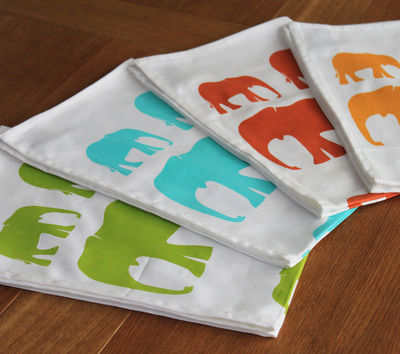 This one of a kind throw is made with a combination of saris in a colourful contrast of colours and bold prints. 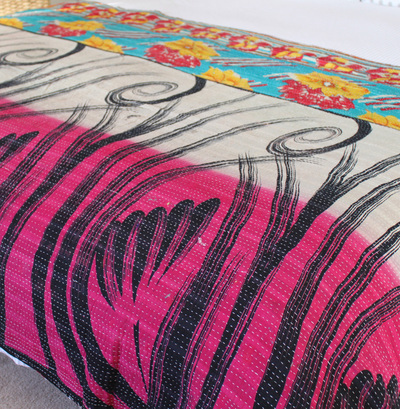 The reverse uses a sari fabric with an abstract print in black, beige and fuchsia complemented with a thick border of the main turquoise fabric. It also has coarse running stitches all over which fuse top and bottom fabrics together in a traditional Indian style of hand quilting called 'Kantha' or 'Gudri'. 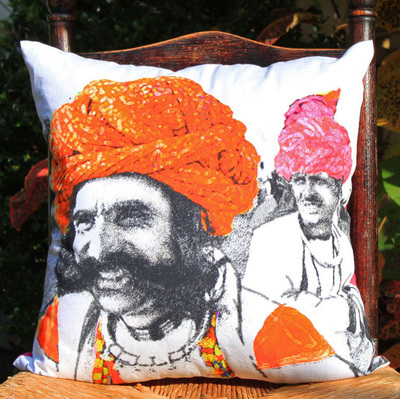 See more Plum Chutney products. You may also like.